The Lord blesses us so that we can grow spiritually in the Kingdom of God. God wants us to prosper even as our soul prospers (3 John 1:2 ). The emphasy, therefore, is the prosperity of your soul. If we neglect our souls by seeking after worldly pleasures and material wealth such prosperity will lead to sorrow. 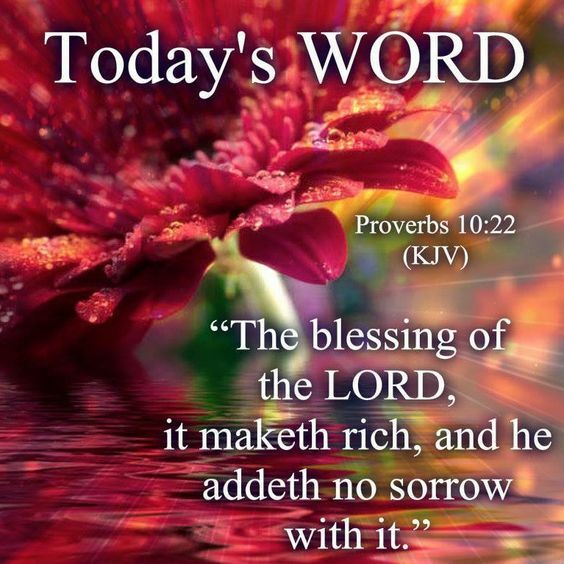 But, as we grow in the grace and knowledge of our Lord Jesus Christ we will prosper with the blessings of God that will bring no sorrow, pain or hardship.